What is the bears' origin? 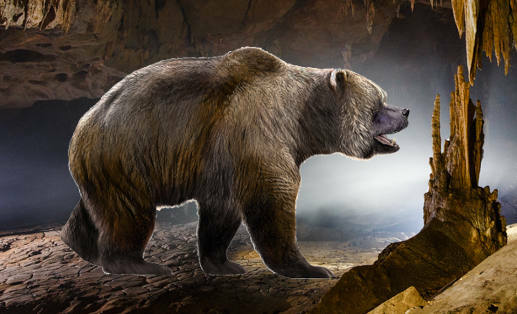 The bears (Ursidae) form a separate family within the order of carnivora. 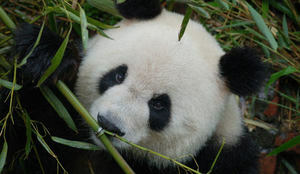 The bear family can be divided into three subfamilies: the giant panda (Ailuropodinae), the spectacled bear (Tremarctinae), and the real bears (Ursinae). The family of Ursinae consists of six different species, all of which have similar external characteristics like strong claws and a robust body. They also have their diet in common. 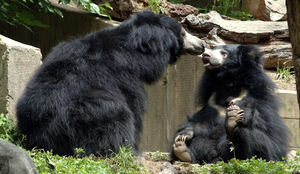 Although these bears are all omnivores, their diet is mainly vegetarian. 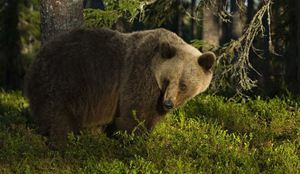 Bears live in very different regions of the world, from the North Pole to the tropical rainforests around the equator. 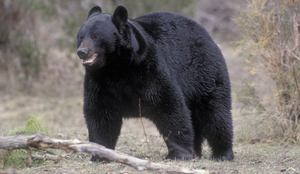 The projects which are run by Bears in Mind focus mainly on the brown bear, but also on the Asiatic black bear, the Malayan sun bear, the spectacle bear and the sloth bear.